Thomas Joseph is a licensed patent attorney in Pittsburgh, Pennsylvania. He maintains a solo practice in all areas of intellectual property law. Additionally, he is the part-time General Counsel of Grant Street Group, a financial software firm in Pittsburgh. On top of his practice and counsel, he writes an intellectual property blog that appears on the Industrial Heating Experts Speak website. Mr. Joseph continually explores and researches new areas of IP law, including Supreme Court influence on copyright law, individual case analysis, as well as breaking down new legislation. Mr. Joseph received a Bachelor of Science in Metallurgical Engineering and Materials Science from Carnegie Mellon University. He pursued his Master of Science in Materials Science and Engineering from the University of Florida, before finally receiving a Juris Doctorate from George Washington University. He is admitted to practice in the Commonwealth of Pennsylvania, before the United States Court of Appeals for the Third Circuit, as well as the United States District Court for the Western District of Pennsylvania. Mr. Joseph is also registered to practice before the United States Patent and Trademark Office. 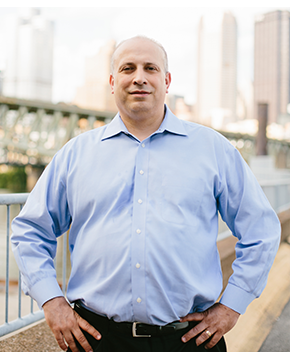 Mr. Joseph is a past president of the Pittsburgh Intellectual Property Law Association. He is also an active member of the Allegheny County Bar Association, Pennsylvania Bar Association, Pittsburgh Intellectual Property Law Association, and the American Intellectual Property Law Association. Mr. Joseph served as the Chair of the Pittsburgh chapter of ASM International. Furthermore, the chapter presented him with the Outstanding Young Member award in 2004 and Chairman Award in 2009. In 2011, he presented the chapter’s annual Pittsburgh Night Lecture. He also serves on the Board of Directors of the Pittsburgh New Music Ensemble and has participated in the Greater Pittsburgh Arts Council Volunteer Lawyers for the Arts program.